In the late 1970s I left Albany for a while and lived in San Francisco, California. At that time San Fran was receiving large numbers of Vietnamese refugees, “boat people” as the media called them. These desperate people had drifted across the ocean, fleeing the wreckage of their homes in the aftermath of the pointless American war against their country. Most people that I knew called them FOB, eff oh bee, fresh off the boat. Many of them were clearly rural peasants who looked like they belonged in a rice field, bewildered but determined to survive in a very strange land. Everyone noticed their stamina and capacity for work, even the street bums and winos admired them. I did notice a peculiar thing. Whenever a helicopter would hover low over the City for some reason, these folks would stand and watch it, often with fear on their faces. And sometimes they would look for cover. One sunny afternoon the Blue Angels, the US Navy air precision drill team, was giving an impromptu exhibition over the City. The military jets dove and wailed and executed choreographed maneuvers. Quite a show, I had to admit, as I walked along. I was climbing up Larkin Street when I saw an entire Vietnamese family cowering in an alleyway behind some garbage cans, huddled together, terrified of the diving jets. They wore loose-fitting clothes from the old country and the adults actually had those round pointed straw hats. Every time the jets dove the whole family screamed. A small child peeked out from under her or his mother’s arm, and she let loose a rapid string of high-pitched Vietnamese as she frantically shoved the child back underneath her. Ah, the look on that woman’s face. Their mouths were open, and all of their faces were wet. And I began to realize that I was one of a half dozen or so clueless Americans standing there staring at these people with amazement. I wanted to tell them, it’s all right, you don’t have to worry about that sort of thing anymore. But what did I know? I couldn’t imagine how to begin. These desperate, damaged people knew these very same jets all too well. They and so many other plain, average Vietnamese people had been on the receiving end of the military power of the American Empire, and this family cowering behind garbage cans were some of the survivors. Here they were transplanted into a metropolis of the Empire, and they did not know that the Empire does not drop bombs on itself. While I stood staring at this cowering family I became self conscious. What did they think of these Americans standing in the open not taking cover? Were we stupid, or were we ghosts and demons? Did they believe that the bombs that fell from the jets only harm them, and not us? 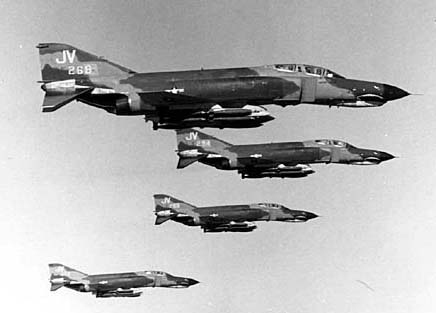 The diving jets back in Vietnam were not Russian, Chinese or Vietnamese. They belonged to us. This is what America does, all over the world. It drops bombs on people, and teaches them to cower, half dead with terror. Sometimes America gives jets to tyrants and dictators, and teaches their militaries to fly and drop bombs. That’s how Sadaam Hussein, the now-dead former ruler of Iraq acquired most of his weaponry. And America sat back and watched as he used that weaponry on his own country, against the Kurdish people of northern Iraq. Yassin Aref’s village in Iraqi Kurdistan was destroyed by Sadaam’s soldiers and their American weapons. So Mr. Aref left his native land, and brought his wife and children to the other side of the world. He found his way to Albany, NY, inside the heart of the Empire. Mr. Aref was understandably bewildered by his new country, as indeed most of us natives are. But he is not the sort to cower in an alley. So he eventually was asked to become a leader of the local Muslim community, the Imam of the storefront mosque at 276 Central Avenue. That turned out to be his undoing. You see, the local Federal Bureau of Investigation (FBI) office on McCarty Avenue was under pressure from the White House in Washington DC to find some “terrorists” and arrest them, preferably recent Muslim immigrants. But real actual terrorists of any sort have always been in short supply in upstate New York. To make a long and much repeated story short, the boys and girls down at the FBI took advantage of Mr. Aref’s poor grasp of our language to entrap him into a “terrorist” sting operation. Then, a sleazy George W. Bush appointee named Glen Suddaby managed to bamboozle a jury of gullible idiots into convicting Mr. Aref, claiming to have “secret evidence” that could not be presented in a courtroom. As a reward for this corrupt unamerican farce, the Bush administration now wants to make Suddaby a federal judge. Our foolish US Senator Charles Schumer has endorsed this schmuck. Personally, I don’t see how someone who does not understand the US Constitution can function as a federal judge. But what do I know. 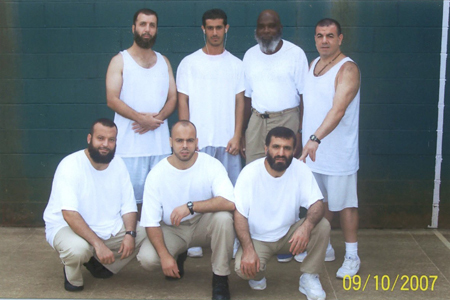 Mr. Aref was sentenced to 15 years in the Communications Management Unit (CMU), an unconstitutional maximum security prison in Terre Haute, Indiana that houses middle-eastern men, most of whom have done nothing or next to nothing. The inmates come from all over the country. Most, like Mr. Aref, were leaders of their local communities. The Wife writes letters to him almost every day, and she receives letters from him once a week. She usually drops whatever she is doing and opens each letter anxiously. Sometimes she stands in the dining room where we drop the mail, scanning the pages with concentration. Often she brings them into the kitchen and spreads them out on the table, frowning. Sometimes she drops tears on the paper. If I’m nearby she reads parts out loud. And the Wife sends him some of the articles from this blog. He was particularly inspired by my December 19 post, 12 Questions For Congressional Candidates. So he decided to answer them. Sort of. Mr. Aref did not exactly answer my 12 questions. Nor is he running for Congress. Not yet. But he did have a few things to say about the country that he adopted, the country which betrayed and imprisoned him. He asked me to put it up on my website. (He addresses me as “Mr. Dan.”) I tell you, cleaning up his grammar is a job, especially since he is trying to convey such subtle ideas. This took me two evenings of work to “translate”, and I’m still not 100 percent sure of a few things. But I think I got it pretty good. Now, normally I have little patience with foreigners who criticize my country. I particularly detest snotty Europeans who try to take advantage of the American tendency to be ignorant about their own past. I have a lifelong interest in history, so I take particular delight in cutting these clowns to ribbons. They usually don’t know what hit them when I get through arguing historical facts with them. Like when someone from England dumps on America for slavery, imperialism, or mistreating native Americans. I mean, it’s too easy. Did you know that England fought a series of wars with Spain and France to successfully gain control of the Atlantic slave trade? Yup, them English lords made a lot of money from the middle passage. But I will make an exception for Mr. Aref’s criticisms because, well, he’s right. Our government says one thing and does another. As a result, people suffer. Jets dive, bombs fall, and human beings cower, terrified. He has first hand knowledge about such things. But I will take issue with Mr. Aref’s optimism about American foreign policy. He appears to believe that the people who run our country are acting merely out of ignorance and foolishness. He does not share my opinion that they are simply evil and revel in pain and destruction. I don’t believe he knows about Disaster Capitalism. 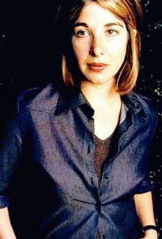 This term comes from Naomi Klein, who demonstrates convincingly that the prime aim of current US policy both domestically and around the world is to deliberately create chaos. The idea is that when the infrastructure of a place breaks down, either by deliberate action or natural disaster, then corporate interests can move in and take control. And after control comes profit. We saw Disaster Capitalism at work in New Orleans after Hurricane Katrina, and we see it at work in Iraq. We Americans are fighting a war against Iraq for the same reason that we fought against Vietnam. Endless war means endless profit. It’s not even about the oil. Me, I call that evil. But what do I know. Note: When I say “America” I mean the American government only. America is one of the greatest of God’s lands and is one of the biggest nations. Millions like me, stateless, poor, and ruled by a dictator, found shelter and what they needed in this country. Millions over the world are getting food and medicine from this nation’s donations and help. Millions over the world dream of coming to live here. It’s sad that the current politicians are changing this, and because of them America as a nation is losing its place and the respect among other nations. What is true of individuals is also true of nations. We are ultimately known by how we treat those who can’t hurt us. After the Soviet Union collapsed and the Cold War came to an end, America practically took the lead and became the strongest country in the world. Many people were thinking positively, expecting a big change in favor of freedom and improvement in the lives of poor nations. Many said that the rule of one person, one party one idea had come to an end. No more iron wall to prevent people from having give and take with the outside. Many people danced for the new world and thought there would be no room in it for poverty. No more dictatorship. America will lead the world to safety and a better life. But the last two decades of America leading has not proven any of the above claims. Likely in many countries the opposite is true, that conflicts are getting more bloody. Russia is regrouping, and a hidden cold war is going on with China. Many countries are rising to resist America’s lead and it’s policies, especially in South America and Asia. Global warming threatens half of our planet, and terror enters not only every country and city but every house and heart. There is not any clear plan or any real solution by America for this calamity. But there is no proof that America has learned from it’s two decades of world leadership and from it’s war on terror. Meanwhile, all the intellectuals are calling for an end to war, and all the scientists are warning that something should be done immediately to save the planet. America keeps saying, “We will stay the course!” Which means they don’t care what is happening, they don’t listen to anyone, and they will keep on doing what they are doing. It’s the people’s right to ask, “Where is the peace and democracy that America promised?” What kind of freedom and dignity have people received? The countries ruled by communist parties, terrorized and spied upon by dictators, have wanted to change to be like America. Instead, many people in the United States are prosecuted by secret evidence and spied upon. It seems that America is changing into the Soviet Union, and not the other way around. Leaders must work for the benefit of those they are leading. America can’t lead other nations until it can prove that it wants to free them not control them, build their lives not destroy them, make peace not declare war on them. America needs to work with people and understand nations, not deal exclusively with kings and dictators. Some people may ask who I am to advise America and say what they need to do. History tells us the great one is the one who listens to everybody and considers what they are saying, even an unknown foreigner and prisoner like me. I hope they will listen and I believe that they need to do these things. What is uglier than saying something and doing the opposite? Many people are tired of hearing this kind of thing. In fact, the majority of people wherever you go are just blind followers and they like to copy. So if their leaders are doing right they are fine. If their leaders are not doing right, they are not. One day, I was listening to a program on the radio. They asked a Chinese diplomat about how America is concerned that China has spent a large amount of their budget on their military. The diplomat just got mad and started yelling and shouting. Three times he said he was sorry he couldn’t control his anger and couldn’t be diplomatic in his speech. America, said the diplomat, has the biggest, strongest army and spends billions on war every year. But you don’t want us to build up our army? Turkish Prime Minister Erdogan said the same thing when America wanted to prevent his country from invading Iraq and sending their army to Kurdistan. He said, no one can tell us what we should do. America brought it’s army ten thousand miles to Iraq, but I can’t send my army ten miles to protect my country? Zalmay Khalilzad, the former U.S. ambassador to Iraq, told Mr. Abdul Aziz Hakim, who is the leader of the largest coalition in the Iraqi government, that the Iraq government should not allow torture and hold those who do so responsible. Mr. Hakim looked at Khalilzad and laughed. Who is teaching whom? America has lost it’s place among other nations and can’t lead until it can give a good example. It’s sad that in most countries now the American embassies and diplomatic missions can’t mix with the people. Big high concrete walls separate them from the people. In many countries there are no civilian service centers, institutions like hospitals or arts centers. But today America is not a civilian country working to build civilian nations. It’s become like an emperor using force and the army, serving above all the interest of the “groups and loud war leaders,” not the interest of the people. 2) America must prove that it cares about democracy. Millions of people are asking what Mr. President is saying about supporting democracy, but the reality is different from what he says. The situation in Iraq, in Afghanistan, and even in Palestine and Lebanon is making people have doubts not only about America’s goals, but about democracy itself. That’s why Mr. Putin, the Russian president, is successfully rebuilding the Soviet Union. He is scaring his people by saying, don’t go along with America, because if you do, what happened to Iraq will happen to us. I’ve heard this by my ear, when Mr. Putin was speaking alongside President Bush during a press conference. When Mr. Bush said that he wanted to spread democracy, Mr. Putin replied that the Russian people really don’t want democracy like Iraq... Bush’s democracy. All the intellectual people are saying that war is the wrong way to bring about democracy. When one is going in the wrong direction, one will never reach one’s destination. Respecting the laws of the United Nations and protecting the Geneva Convention is necessary for bringing peace. America must strengthen the United Nations, not bypass it if it wants to build civilian rule. Peace, justice, freedom and education are the keys to democracy, not what America is currently doing overseas. 3) America needs to play the doorkeeper and support justice everywhere. America can’t lead until it becomes a fair judge, and it can’t play the doorkeeper role among groups and peoples until it shows that it wants to bring people together. Up till now, in many countries and in many conflicts, America has taken sides with one group against another and become part of the conflict. That’s why America can’t do anything positive and the situation in the Middle East is getting worse. America should prove that it worries about people and works in the interest of other nations, not to only make them suffer. If not, people will prefer to die than accept humiliation. Peace will never take place without justice. Give people their rights and consider their needs and they will give you peace in return. 4) America needs balance in it’s policies. “Checks and balances.” This is something every single American can be proud of, but certainly not in American foreign policy. America needs to bring balance to this area. War is not the only decision America has been making. Going backwards to secret prisons, kidnapping people, torture, supporting dictators, and depending only on the military, and millions over the world have been affected. The result up until now has been tragedy, pushing our lives to the style of the jungle. America can’t do anything to stop this tragedy until it learns to respect international law and human rights. In other words, America’s foreign policy can’t bring any good to itself and serve American citizens until it serves the interest of people in foreign countries and supports their justice causes. 5) America needs to do something about global warming. As much as it is nice that Al Gore won the Nobel Prize for his great effort to save the planet from the global warming threat, it is very sad that his country is not doing what it should do, and not taking the climate change threat seriously. There will not be a world for America to lead if they do nothing to protect it from the threat of global warming. America must respect people’s ideas and scientist’s research about climate change. Denying and putting pressure on NASA to not disclose the results of their research is a crime, and all of us will be the victims of it one day. Why is America talking day and night about the threat of terrorism (which no doubt is ugly) but not mentioning the global warming threat? Because global warming will affect the Third World first! This is the way that America demonstrates that it wants to save the world. Why does America want to save the world from terrorists, but doesn’t care about global warming? What is the difference if people die by drowning at sea, by flood or by drink, by sickness or by AIDS, by bird flu or by terrorist? Which of the people are dying more because of it? Drugs, alcohol, AIDS/HIV, and poverty are ending more lives than terrorists are. Neglecting all these problems and focusing only on one of them is wrong. This proves that America’s agenda and concerns are not the same as the rest of the world’s. 6) America needs to make people respect it, not scare them. Many experts today are saying that America needs to change its way of dealing with other countries if it wants to get people’s minds and love. Without these things there is no way for America to lead them. Scaring people and using force may make the people follow, but certainly only until they get the chance and opportunity to oppose. For twenty five years Sadaam forced us and all Iraqis to obey him and dance for him. But when we Kurds got a chance in 1990 we rose against him. When America invaded Iraq in 2003 his army disappeared. No one liked him. He was president for 25 years, but when they captured him he didn’t have 25 persons to defend him. The same with money. Money can only get you people with no principles, and those that you get will go in any direction that the wind takes them. It doesn’t matter how much America spends on them, they are likely to turn against America at any time. Especially when they get a better salary. America must change its ways instead of depending on military force and money in foreign countries, taking advantage of their weaker people. Better to support their justice cause, to get their minds and hearts, and to get support from their real leaders. For me, it’s not important who is going to the White House, male or female, Democrat or Republican. What is important is what the White House is going to do. Usually before an election and during an election people will say a lot of interesting things, but after an election these interesting things will disappear. During the last two decades many people took control of the White House and left it, moving between this and that party. But the fact is that American foreign policy has remained the same, or very close to same. I wish America would realize, even a little bit late, that it is time for real change. Great article, can I repost this to some progressive email listservs in Boston. I remember when this happened, I worked at a bank on Madison Avenue while in college and Mr. Areff was one of our customers. I remember him as a very down to earth nice man. When I heard this happened, I though about what happened to my family in Latvia and Lithuania when Stalin took over. Its a sad day in America where as the reason my mother cam here is happening to people. On September 11th close to 3,000 American citizens were murdered by Muslim extremists. World wide hundreds of thousands of people have been killed in Muslim related violence. At just what point should our government act to protect its citizens? When we have suicide bombers at Cross Gates Mall? When there is a flash down the Hudson Valley and NYC is gone? Suicide bombers at Crossgates? Sounds like a plan. That'll take care of sprawl in a hurry. I guess we showed them! So can the troops come home now, please? it's very strange how a foreigner seems to understand and care about america's core values more than most of native born americans do these days. strange and sad. the rest of us are more concerned with the britney spears, the intense competition on american idol, and seeing how much cheap crap we can buy at wal*mart to fill up our oversized houses with. 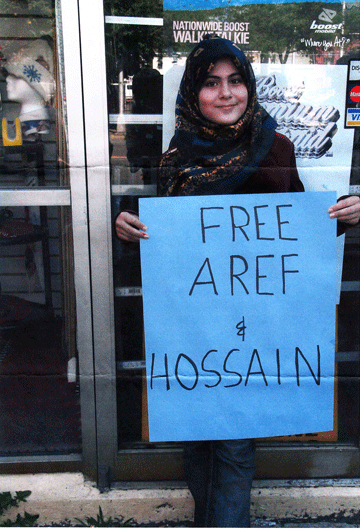 mr. aref is a political prisoner, and nothing less. he's a pawn in a big sick game the administration is playing with the lives and freedom of all the world's citizens, not just americans. i hope he realizes that not all americans are idiots, blind to the truth. alfrednewman states that "on september 11th close to 3,000 american citizens were murdered by muslim extremists". so somehow this means we have a god-given right and duty to murder and/or imprison all muslims? including those in countries that had ABSOLUTELY nothing to do with september 11th? 3,000 people lost their lives on september 11th. a number of them were muslim. now a radical band of christian extremists want to start the next crusade, and their followers are all too willing to jump on board the hatred bandwagon, beating their chests and fighting for their "team". their leaders have them all fooled though, because they have only profit in mind. profit at the expense of the "freedom", "liberty", and "safety" of their own citizens. the very things they claim to be defending and protecting. it's incredible how easy it is to pull the wool over the public's eyes. if we really cared about "fightin' terr" then why is our president so willing to sell weapons to saudi arabia? you know. the country where MOST of the 9/11 hijackers were from, the country that controls a major portion of our middle east oil supply, and the country that has time and time again proven to be a REAL breeding ground for terrorists? but i guess that precedent is already set isn't it. seeing as though we did the same thing with iraq and afghanistan. so i supposed we'll be invading saudi arabia in 10-20 years when the next bush crony is in office. we're just laying the groundwork now. I am very impressed by Yassen's thoughtful comments on how the US should go about preventing terrorism. Why hasn't the US taken more of those steps? It's good every once and while to take a step back from our sometimes hyper-testosterone society, and look how we can work with the international community to bring a greater understanding, and prevent terror. It's fun to go mudding in our trucks, watch bulls f--k cows, shoot random firearms, burn s--t, and have an ego trip in our back-40. But what us guys do for fun, shouldn't be the basis for foreign policy, much less any other public policy. We need to have leaders that need to learn how to have some civility when they lead, and not just be playing to the crudest nature of us Americans -- git those towel wearers. In other words, I have to admit I really like Toby Keith's Taliban Song. It's fun to take off a little frustration after what "those arabs" did to us, but I don't think that should be the line of thought we should be taking to the work of governing. At least Alfrednewman won't have to worry about being hauled away to a re-education camp... he's already brainwashed and terrorized. Luke: I promised Mr Van Ripper that I would not beat up on people on his site. I am interested in learning more about Mr Aref and his views. Specifically if western style democracy can coexist with Islam. Since 9/11 there hasnt been any terroist attacks in the US. Why is it? Maybe the government went after the right people. AlfredNewman, you bring your ignorance everywhere don't you? The US was attacked by a fundamentalist christian terrorist in Oklahoma City - remember that guy? Should we start bombing all the fundy christians? Democracy can coexist with almost anything, but the real question is whether fundamentalist religion of any kind can coexist with democracy. The difference between Christian and Muslim fundamentalists is that christian fundamentalists are fringe wack-jobs whose influence is limited. Their media exposure is over-represented because Americans like to watch dysfunctional people. Muslim wackjobs are different -- they're backed by major governments and have basically de-railed their entire culture. It is refreshing to see people (for the most part) having a reasonable discussion about this topic. Too often, we blame an entire culture or religion or nation for the actions of an extreme few (Hey, if anyone from Europe is reading this, most of us don't agree with Bush's policies!). It is more than unfortunate that innocent people are caught in this net. "The difference between Christian and Muslim fundamentalists is that christian fundamentalists are fringe wack-jobs whose influence is limited." I'd suggest we change that to: the difference between Christian and Muslim fundamentalists is that Christmas fundamentalists are fringe wack-jobs whose influence WILL BE limited after the 2009 elections. Aref has some good points. I take issue with his comments about the US discouraging the Turks from launching incursions into Kurdish controlled Iraq, as they have a history of genocide and ethnic cleansing of their Armenian (whoops, they're gone), Greek and Kurdish minorities. I would like to add a suggestion for people as they conduct their personal affairs. If someone needs you to help facilitate the purchase of a missile to assassinate foreign diplomats, say, "goodbye" and leave. If Aref had done that, he wouldn't be in Marion tonight. Was he the victim of a sting operation? Sure -- but this wasn't a vice operation, and going along as far as he did crossed a serious line. CommonSense - Mr. Aref never saw the stupid rocket launcher. Get your facts straight, please.